The “Shameless” Cast back for round 7 and Chicago area locals have a chance to get in on the craziness. “Shameless” is coming back for a 7th season. The show is based on Paul Abbott’s award-winning British series which shares the same name. The Showtime series just premiered this month and new episodes are still filming. The show films in the Chicago, Illinois area and is currently casting locals who would like to work as paid background extras on the show. All roles are paid and casting directors at Chicago’s Atmosphere Casting have set-up an online availability form that they would like potential talent to fill out in order to be considered for any of the available small, non-speaking roles. The show is currently taking submissions for episodes that will be filming in early November. “Shameless” is described as a bit of a a twisted series which centers around the completely dysfunctional Gallagher family. Heading up the Gallagher pack is Frank Gallagher, the outrageous patriorch of the clan who is trying his hardest to stay sober. Joining William H. Macy in “Shameless” are Emmy Rossum as Fiona Gallagher, Jeremy Allen White as Philip “Lip” Gallagher, Ethan Cutkosky as Carl Gallagher, Emma Kenney as Debbie Gallagher, Cameron Monaghan as Ian Gallagher and Shanola Hampton as Veronica. 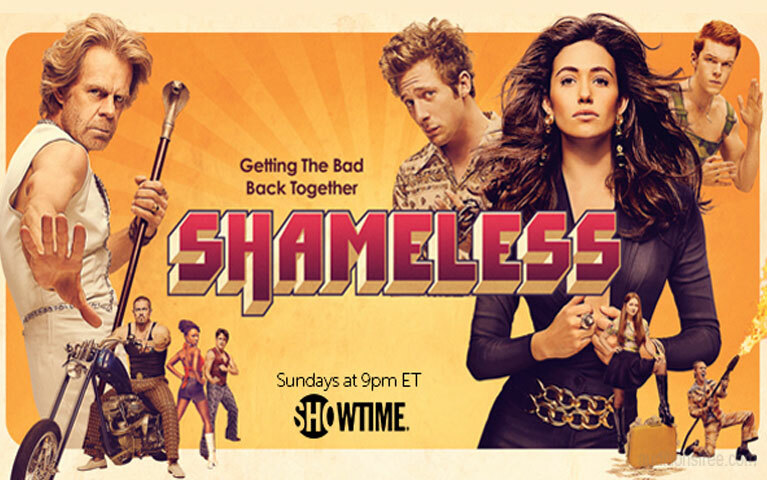 Also in the “Shameless” cast are Steve Howey who plays Kevin “Kev” Ball and Isidora Goreshter as Svetlana Fisher. The season premiere was just a few weeks back on October 2nd. The new season of “Shameless” opened with Frank waking up after a coma that lasted about a month and comes to find out that…. no one seemed to miss him at all. to find no one missed him. Debbie, starts to question her motherly skills and begins thinking that maybe she is doing something wrong and may not be a good mother after all. Worried about the whole motherly thing, Debbie wants to take a criminal approach to providing for her family. Lip is all done with his rehab and is now more determined than ever to stay sober. Poor Carl finds out that he is the only uncircumcised brother and may need to take some drastic action to fix that. We are looking for sharp, fit, clean cut, gentlemen for our MILITARY PASSENGERS (18-24 AGE RANGE). Please submit a photo, stats, and contact info to SHAMELESS.EXTRAS@GMAIL.COM. UPDATE: MUST BE WILLING TO SHAVE HEAD MILITARY STYLE. EXTRA $35.00 BUMP. PLEASE MAKE SURE YOU’RE REGISTERING FIRST TO ONLY THE EXTRASCASTING@GMAIL.COM EMAIL FIRST. Then completing the MILITARY SUBMISSION. 2.) Submit with “MILITARY” IN SUBJECT LINE. 3.) Make sure you have filled out the AVAILABILITY FORM. 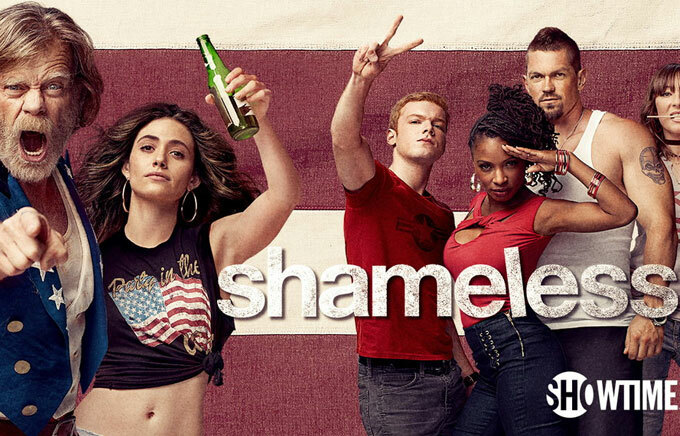 “SHAMELESS” – Season 7 – Nov.
We are currently casting the SEVENTH season of “Shameless,” which shoots Tuesday, Nov 1st through Saturday, Nov 5th. Please complete this form to submit your availability. To utilize this form, you MUST be currently registered with Atmosphere Casting. We do this to ensure that we have all of your information and pictures on file before we book you. If you just fill out this form and we have no information or pictures of you, we will not book you to work, so please make sure you are registered prior to submitting this form. We will need some extras with cars. If we use you with your car it pays $85/8 + $35 car bump. They prefer older, beat up cars, trucks and SUVS. Chicago area residents interested in trying out for a small, extras role on the show may see this page for all the details. I really need to get this part, my family is having troubles with money and we need the money. Hi my name is Kya Murphy I live in Spokane, Washington. I am 9 years old and I was just wondering how much auditions cost and if they are enough money to pay for and I was wondering if you are looking for a new actress on Shameless I could play the part of one of kev and v’s kids and can I be one of the main characters. Interested. Email me If needed. I am interested in being an actor in this series.